Here we go, my first post…. I started the hobby in October of 2012 after realizing a recent move put me too far away from my regular hobbies of hiking and arrowhead hunting. The added drive time and cost of gas to reach my lifelong retreats reduced my ability to pursue them. I’m a person who needs to be outside, the walls of the house became a psychological prison. I moved into a house built around the 1900’s and is surrounded by houses built as early as 1860. So it only make sense I would become curious about things buried in the yard. My boss owned a Bounty Hunter metal detector and offered to let me borrow it to see if I would like the hobby. First time out in the yard I found several coins including wheat pennies. Needless to say I was hooked and started researching metal detectors. Researching metal detectors turned into a quick headache, way too much information and opinions. I checked my local Craigslist and found a used ACE 250 and I was off and running. Actually, it was more like crawling, repeatedly digging trash of all sorts. 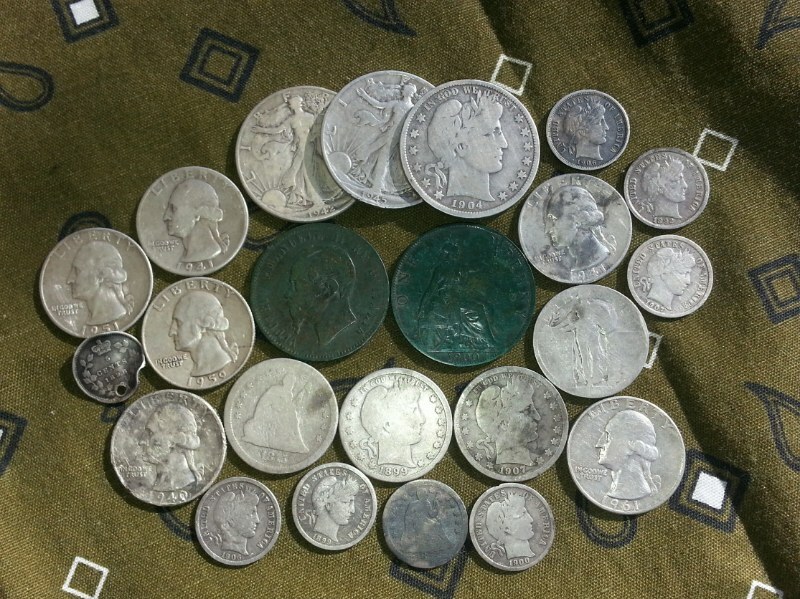 Of course I wanted the old coins, gold and silver rings, not all this trash! So my adventure begins here………I will start posting my triumphs and failures and any helpful tips I learn on the way.